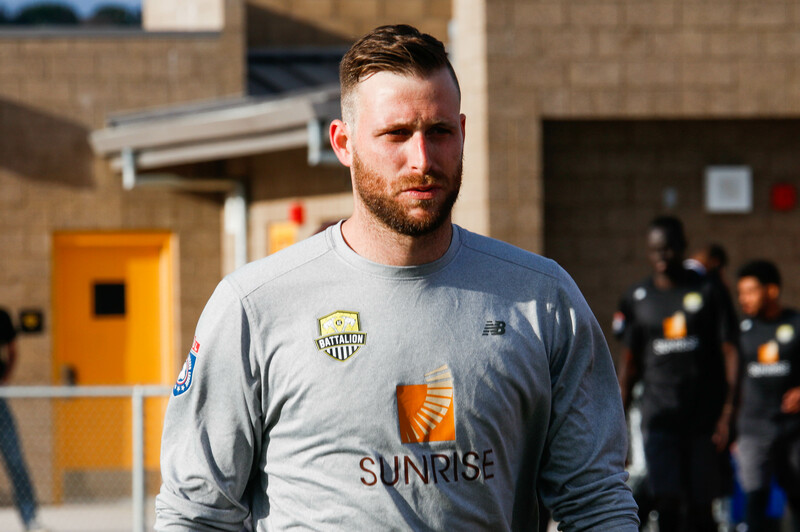 North County Battalion goalkeeper James Stroud has been selected as the eighth Mitre National Player of the Week for the 2016 NPSL season. A long-time Southern California resident, Stroud was born in Philadelphia and moved with his family when he was in middle school. He is a 2009 graduate of Torrey Pines High School and was also a member of several competitive club teams including LA Galaxy Academy, San Diego Surf, and Albion. In 2008, he was named to the USSF Academy Southwest Conference Best XI. Following graduation from high school, Stroud attended CSU Chico where he played for five seasons. During his time with Wildcats, he led the CCAA conference in goals against average, save percentage, and shutouts per game. For the past two seasons, Stroud played in the NPSL as a member of the San Diego Flash. An instrumental part of the team’s success last year, he led the Southwest Conference in goals against average and shutouts per game. This is his first season with the Battalion. Stroud has been impressive with North County in 2016, accumulating four starts and over 360 minutes of play. He currently has a 1.50 goals against average, 26 saves, and one shutout this season.